Hi Ho Silver's 25th Anniversary Bash! 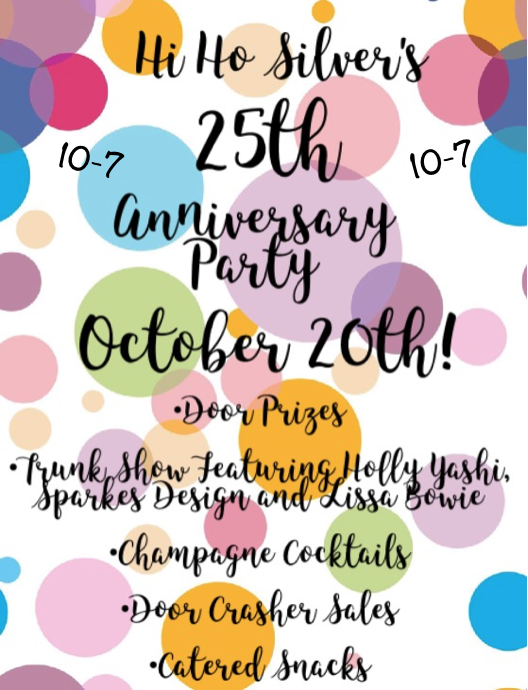 Join us October 20th for Hi Ho Silver's 25th Anniversary celebration!! !